Calming Av. Diagonal between Pl. Glòries and Verdaguer would almost double pedestrian space by creating an extra 13,000 square metres, as well as providing a boost for the bike lane network and green space. 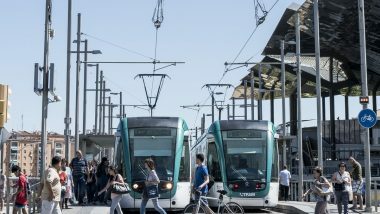 The urban transformation project hinges on the approval of the proposal to connect the two tram systems, which will be voted on in the full council meeting on 23 March. 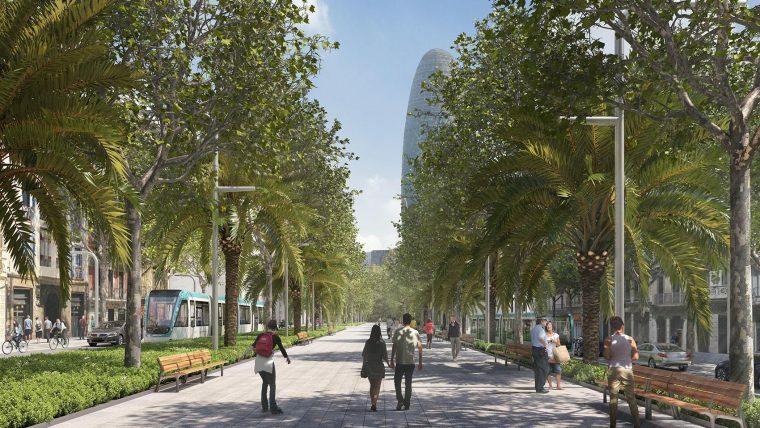 The remodelling project involves transforming the most run down and underused section of the avenue into a healthier, greener and safer place, almost doubling pedestrian space from the current 26,706 square metres to 40,245, and adding a further 700 square metres of greenery. The transformation will be possible thanks to calmed traffic. Depending on which section of the avenue, traffic will be limited to service vehicles, pacified lanes with speed limits of 30 km/h or single traffic lanes. The goal is to prioritise sustainable mobility with an extra 2,499 square metres of two-way bike lanes, doubling their width for greater safety and efficiency. The project is at a very advanced stage and could see a work calendar established in the spring with a budget of 34 million euros. 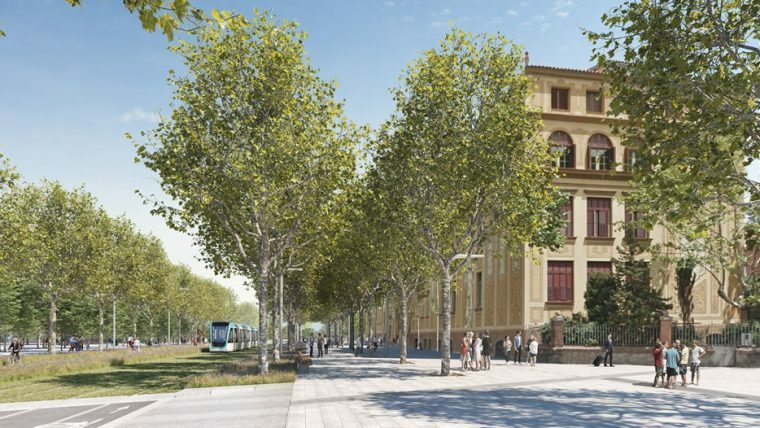 The project includes the tram section in the Urban Canopy within the large future Parc de les Glòries, to the southern side of the area, where one of the city’s most important public transport interchanges will be located. The interchange is due to include inter-urban bus stops (particularly for services connecting the Maresme coast), urban bus stops, metro and tram connections, the aim being to improve connectivity between the different means of transport and foster their use. 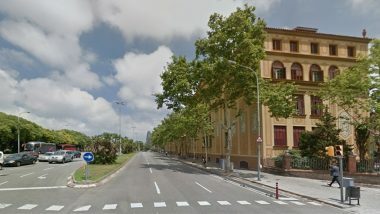 The works in the area would cost 13 million euros, included in the budget for the Urban Canopy. 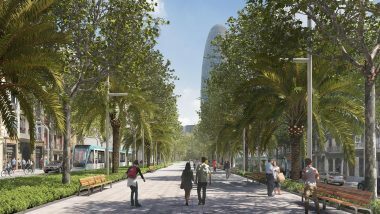 The future urban park in Glòries will start being built in March with the 45,000 square metre green space for the large clearing planned there. 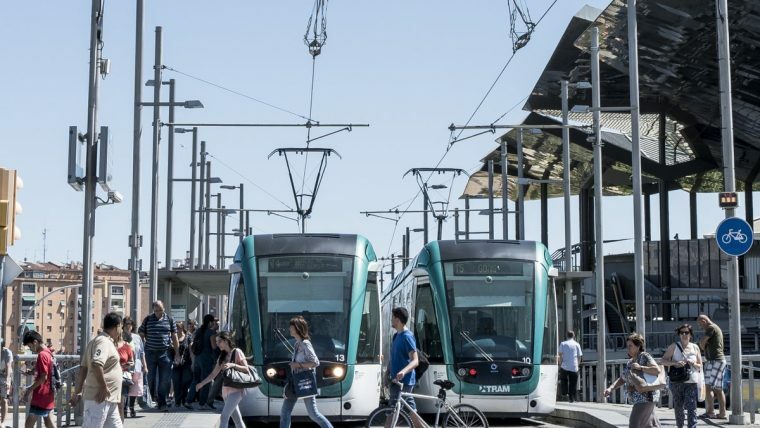 The urban project is linked to the extension to the tram system as it includes an avenue which prioritises sustainable mobility and reorganises the paths of the various means of transport from an overall perspective, taking into account the tram network. The urban remodelling of Av. 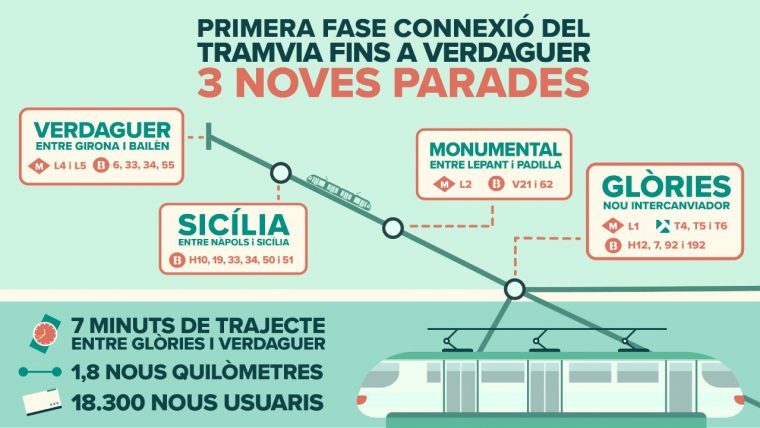 Diagonal and the tram section in the future urban park in Glòries are included in the collaboration protocol with Àrea de Transports Metropolitans (ATM). 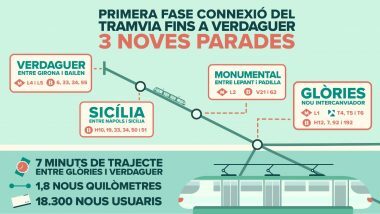 The agreement defines the action required to start the connection of the tram systems with a first stage from Glòries to Verdaguer, which would cut journey times on public transport along this section by seven minutes. The extension would also mean a 58% increase in passengers using the tram. 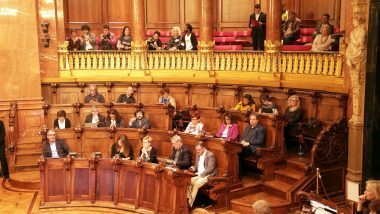 The approval of the protocol, to be voted on in the full council meeting on 23 March, is the first step towards executing the project.